We've reduced our sign up fee from $49.99 to $19.99! Your $19.99 gets you an account and 100 minutes to start off with. Search by over 75 different inputs! It has never been so easy to get an account. Paid users can now map their search results and map comparable properties for a selected parcel. 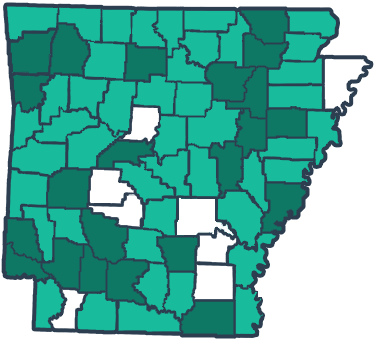 ARCountyData.com is the fastest and easiest way to access Arkansas county property information. From the convenience of your office or home you can research property sales histories, commercial and residential building descriptions, and legal descriptions. These are the counties currently served by this site. Click the county of your choice on the map below, or select it from the drop down, to access its records.